8:00pm – 1:00am | FREE! YO! Microphone check one two what is this?? 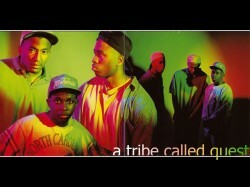 Hip-Hop Karaoke DC returns to Liv NIghtclub for our first ever tribute to everyone’s favorite group- A TRIBE CALLED QUEST!! !